1. "Charity gave me the key to my vocation." 2. "I want to be scourged and crucified like You, my Spouse; flayed alive like St. Bartholomew; thrown into boiling oil like St. John; and ground by the teeth of wild beasts like St. Ignatius of Antioch, so that I might become bread worthy of God." 3. "God gives even in this life a hundredfold to those who have left everything for love of Him." 4. "[Jesus] does not call those who are worthy, but those He chooses to call." 5. "How can a heart that is taken up with human love be fully united with God? I am sure it is not possible. I have seen so many people attracted by this false light, fly to it as moths do and burn their wings, then flutter, wounded back to Jesus, the Eternal Fire which burns without consuming." 6. "I have often heard it said in retreats and elsewhere that an innocent soul never loves God as much as a repentant one, and how I long to prove that is not true." 7. "By becoming little and weak for me, [Jesus] made me strong and full of courage, and with the arms He gave me, I went from one victory to another, and began to 'run as a giant'" (Ps. 18:16). 8. "I learned from experience that joy does not reside in the things about us, but in the very depths of the soul, that one can have it in the gloom of a dungeon as well as in the palace of a king." 9. "As Jesus had made me realize that the Cross was the means by which He would give me souls, the more often it came my way, the more suffering attracted me." 10. 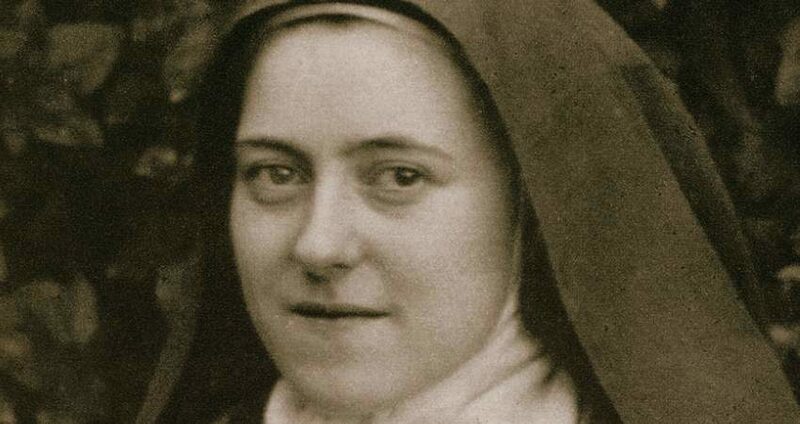 "I made up my mind, there and then, to stay in spirit at the foot of the Cross, to gather up the dew of heavenly life and give it to others." 11. "Jesus my Divine Spouse, grant that I may ever keep my baptismal robe spotless. Take me from this world rather than let me tarnish my soul by one small voluntary fault." 12. "I ask only one grace -- may I never offend You!" 13. "Jesus, let me die for You, a martyr; grant me martyrdom of soul or of body, or better still, grant me both!" 14. "I understood that all we accomplish, however brilliant, is worth nothing without love." 15. "I am perfectly content to go on suffering in body and soul for years, if that would please God. I am not in the least afraid of living a long time; I am ready to go on fighting." 16. "The Lord is the rock upon which I stand. 'He teaches my hands to fight and my fingers to war. He is my Protector, and I have hoped in Him'" (Ps. 143:1,2). 17. "For a long time now I have not belonged to myself; I have given myself entirely to Jesus. He is free to do with me whatever He likes." 18. "The grace I value most is the one of understanding the precept of charity in all its fullness." 19. "True love feeds on sacrifice and becomes more pure and strong the more our natural satisfaction is denied." 20. "At first sight, it appears easy to do good to souls, to make them love God more, and mold them according to one's own ideas, but in practice one finds that one can no more do good to souls without God's help than make the sun shine in the night." 21. "The power of prayer is certainly wonderful. One might liken it to a queen who always has free access to the king and can obtain everything she asks." 22. "Jesus has chosen to show me the only way which leads to the Divine Furnace of love; it is the way of childlike self-surrender, the way of a child who sleeps, afraid of nothing, in his father's arms." 23. "Indifference and ingratitude are all [Jesus] finds among the world's disciples; even among His own, He finds so few surrendering themselves without reserve to the tenderness of His infinite love." 24. "To be Your Spouse, my Jesus; to be a Carmelite; to be, through my union with You, a mother of souls, surely this should be enough? Yet I feel the call of more vocations still; I want to be a warrior, a priest, an apostle, a doctor of the Church, a martyr -- there is no heroic deed I do not wish to perform. I feel as daring as a crusader, ready to die for the Church upon the battlefield." 25. "... I wanted to do all the patriotic things the heroines of France had done, especially St. Joan of Arc." 26. "Love proves itself by deeds." Who Do the "Occupy Fort Benning" Protesters Really Represent?